While a grilled cheese can be incredibly simple, most people never understand the techniques and possibilities behind this beloved sandwich. Most of us view the grilled cheese as simply a sandwich composed of cheese and bread, but there is so much more to it. This course is your opportunity to learn from the chef who revolutionized the grilled cheese sandwich, Chef Dave Danhi. 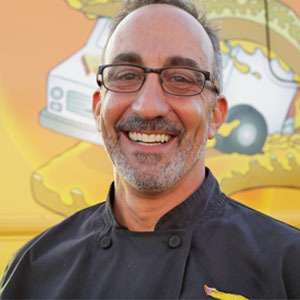 Known for his mastery of the classic grilled cheese, as well as his inventive combinations of cheeses, fillings, and breads, Chef Danhi serves hundreds of thousands of sandwiches every year though his infamous Grilled Cheese Trucks. The secrets unlocked in this course will forever change the way you approach grilled cheese. Throw away the Wonder Bread.